This has been a tough week, but luckily it is already over. 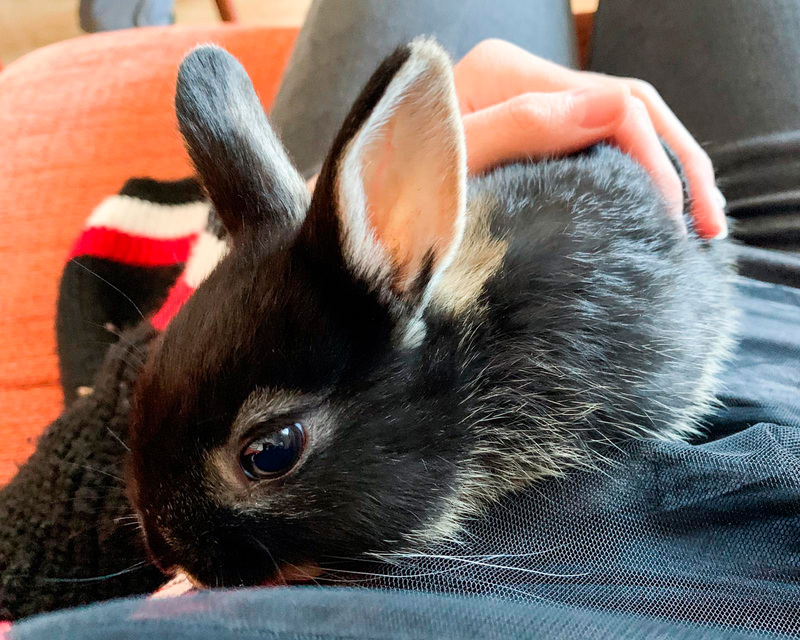 Many you won’t know, but we’ve brought another bunny home. A little baby of almost two months called Flor. It all started on Wednesday. 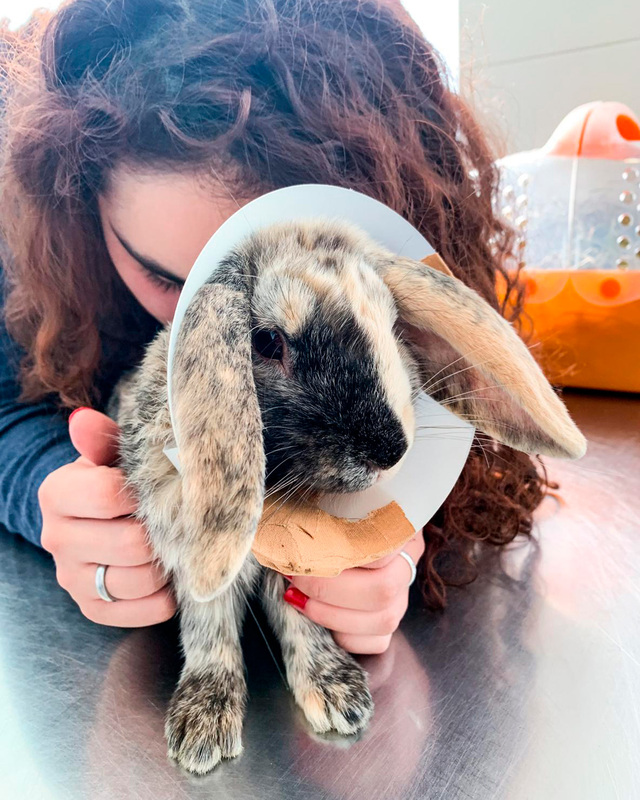 We took Tambor to be neutered in the morning and in the evening, before going to pick him up, my father came at home with the little girl. Luckily we decided to take her with us to the vet, we had to pick up Tambor and so he could check her. We left the vet without Tambor, who wouldn’t stop touching his wound and had to remain under observation, and with the dreadful news that Flor was sick. Luckily, Flor has improved and, although she is not yet healed, we don’t think it will take her long to be completely healthy. She eats a lot, loves her medicine, she is very active and very lovely. The change has been so big that she seems like a different bunny. But with Tambor it took a little more. We brought him home on Thursday with the cone of shame in his head and he had a horrible week. On the one hand the cone didn’t let him clean or scratch his ears and on the other he hated his medicine so much that he even cried when we had to give it to him. He was so sad that my heart broke every time I saw him and the worst thing was that there was nothing I could do to comfort him. Yesterday the torture finally ended, we have already removed the cone and he doesn’t need any medicines anymore. 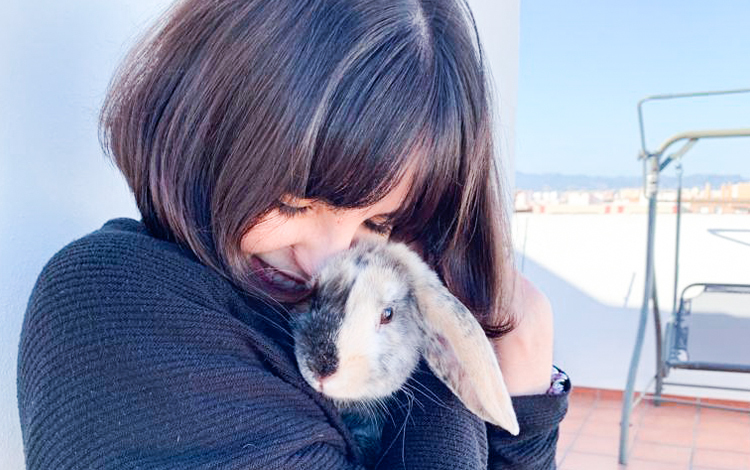 Tambor has returned to be the playful and curious bunny of always. It has been a tough week, but the worst is already over. Now we just have to wait for Flor to recover to be able to introduce them to each other!